Many homes suffer from high humidity and the problems it causes, damp patches, condensation on walls and windows, mould and increased dust mite populations. A good dehumidifier will reduce the levels of moisture in your home and help to alleviate these problems. High humidity is a problem that effects many homes, newer homes are better sealed with double glazing and often have less ventilation, older homes may have solid walls that allow damp to enter into the home. Common causes of excess moisture are drying clothes inside and poor ventilation. Our website will provide you with information and guides to help you choose and purchase the right dehumidifier for your needs. We can provide you with un-biased information and reviews as we do not manufacture dehumidifiers or have ties to any one manufacturer or supplier. The air in all homes will contain moisture. For most this will cause no problems as it's perfectly natural for there to be some moisture in the air. Moisture becomes a problem when there is too much of it, this can lead to condensation on windows and walls, mould and a perfect habitat for dust mites to thrive. If you have asthma or allergies you may find these conditions will aggrevate your condition. Reducing the amount of moisture in the air has many benefits, reducing condensation on windows and frames, damp walls, reducing mould, and helping dry clothes quickly so that they dont smell musty. 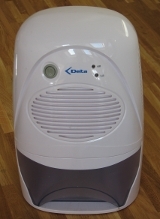 There is further information on this Wikipedia dehumidifier page, they also highlight that many pests such as dust mites and fleas prefer higher humidity levels. We take a closer look to explain how they work and the benefits they offer. We have lots of guides with great tips and advice to help you select the best dehumidifier for your individual needs. A good place to start is by taking a look at our sizing guide , how they work guide and our guide which explains the different types.